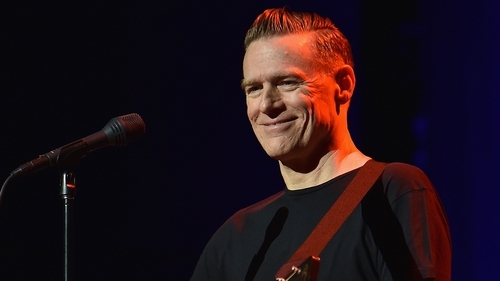 "I had this idea, I think he would know where to take it or maybe he'd take it somewhere I wouldn't, and that's what I'm interested in," says singer singer Bryan Adams, recalling the writing of his recent song Shine a Light with Ed Sheeran. "In terms of my songwriting, I've always been sort of the kind of person you'd want to jam with - because I'll definitely come up with a decent mumble," the Canadian rocker told New York radio station Q104.3. "On my own, I usually come up with fragments of songs, and so when I met Ed, we started talking. "I had this idea, I think he would know where to take it or maybe he'd take it somewhere I wouldn't, and that's what I'm interested in." Adams recently told the Evening Standard that Shine a Light was written as a tribute to his parents. His father passed away last year around the time his mother became seriously ill. However, the musician did not want the song to be sad or downbeat. He talked about his friendship with Sheeran and how they met. "I was playing in Dublin on a Friday night and Ed was playing on the Saturday so I went along to see him. We got talking after the show and got along great, and I just said, ‘Hey, do you want to help me finish this song?’ He is an extraordinary talent."